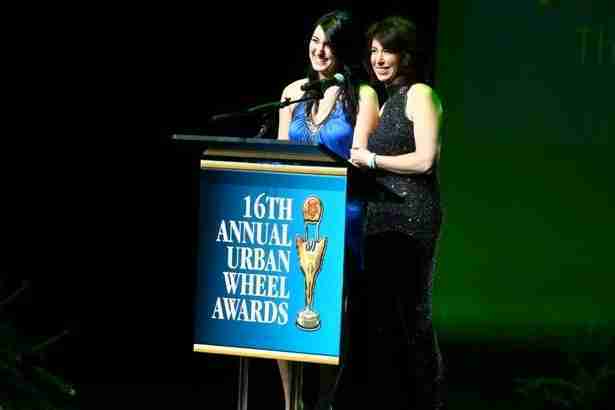 Lauren Fix and Shelby Fix were celebrity presenters at the 16th Annual Urban Wheel Awards. The annual event, held during the North American International Auto Show, brings together celebrities, executives, international media, government representatives, and the multicultural community to celebrate diversity and inclusion in the automotive industry. Consumers in the multicultural market buy one-quarter of new vehicles annually. The Urban Wheel Awards promotes awareness of their contributions to the industry as well as those of companies and individuals who have made progress toward embracing this reality. honor companies, executives and suppliers for recognizing the growing multicultural consumer and embracing diversity in operations and mission. Lauren and Shelby presented the 2012 Green Car of the Year Award to the Toyota Prius Plug-in (Runners Up: Infiniti M35h and Mitsubishi i-MiEV). Lauren Fix and Shelby Fix were celebrity presenters at the Annual Urban Wheel Awards. The Urban Wheel Awards honor companies, executives and suppliers for recognizing the growing multicultural consumer and embracing diversity in operations and mission.